Promote your music and build an audience among fans with similar taste and interests. Buy soundcloud comments mixed up in best value promo packages. Mix it up and shoot for the stars! This easy plug-and-play packages gives an organic promotion boost to your Soundcloud profile and music. Achieve popularity and delight your target audience with a mix of Soundcloud plays, comments and likes you can buy straight away. This is the medium pack, with 2500 plays, 50 comments and 100 likes (aka soundcloud favs). 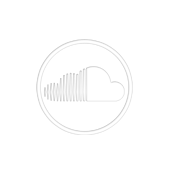 This service is part of our compound Soundcloud promotion portfolio. For specialized Soundcloud plays, likes, group joins and much more, take a look at the rest of our all of them Soundcloud promotion services. Like elsewhere, the Soundcloud profiles that do the liking, commenting and playing are real and verified users. Discover organic music promotion at its finest!